This day had everything; new announcements for Impericon festivals, new music, new plans, so what better way to end it than a tour confirmation? 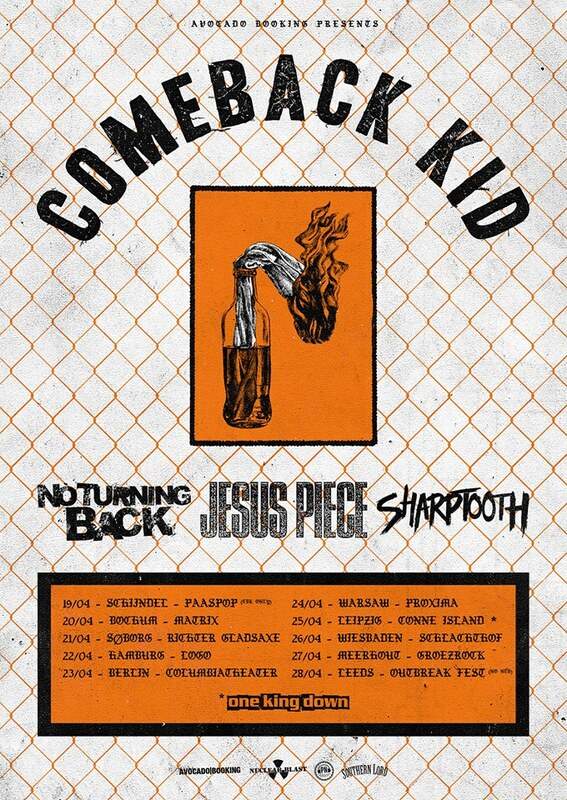 After Comeback Kid's recent confirmation for Outbreak fest and Groezrock, it was only a matter of time until we also got a string of shows revealed. 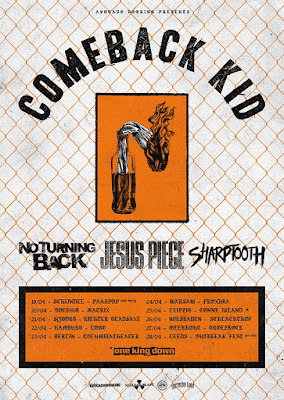 Turns out our favorite Canadians will be returning to Europe mid April along with No Turning Back, Jesus Piece and Sharptooth. The tour kicks off at Paaspop in the Netherlands on April 19th.